Eva Shure and my daughter Kristina met in acting class at Northwestern University and have been close friends ever since. I can see why they became such good friends because both started their own businesses, and love the theatre world. Eva took her love of theatre and acting to start her business, Red Carpet Kids in New York City. It has since expanded to include Miami and Los Angeles. Red Carpet Kids is an exciting entertainment experience that fosters fun and creativity. Kids can choose their favorite Hollywood moments like starring in their own live action film complete with a movie crew, special effects, costumes, stylists, followed by the premiere of their film in a VIP screening room. Or if style is their interest, kids can experience a backstage peek at Fashion Week with wardrobe stylists, designers, and make-up artists, then take a stroll down a runway in their favorite ensemble. Other creative packages are offered too, with kids selecting their own Hollywood idea of fun. Sounds like a dream come true for a birthday party or other celebration. 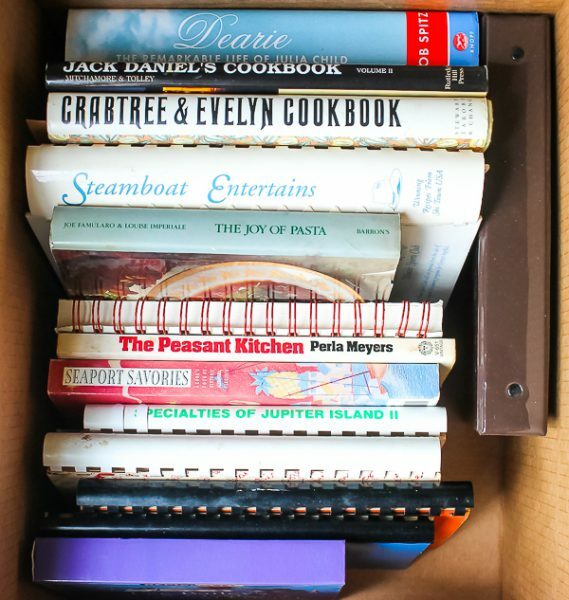 Even with her busy life, Eva still took the time to gather up some cookbooks for The Culinary Cellar. The books filled two big boxes with some huge and wonderful books. 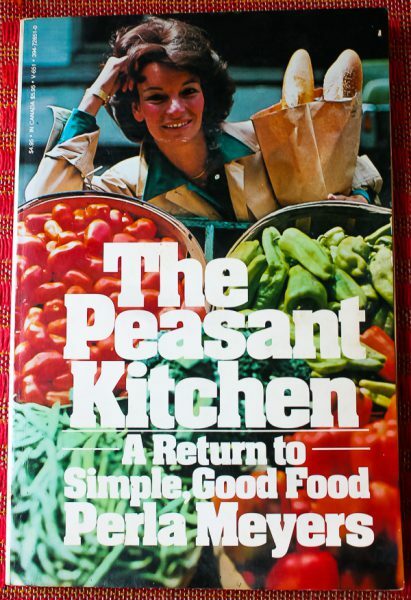 In the search for a recipe to make, I had to select The Peasant Kitchen by one of my favorite cookbook authors, Perla Meyers. 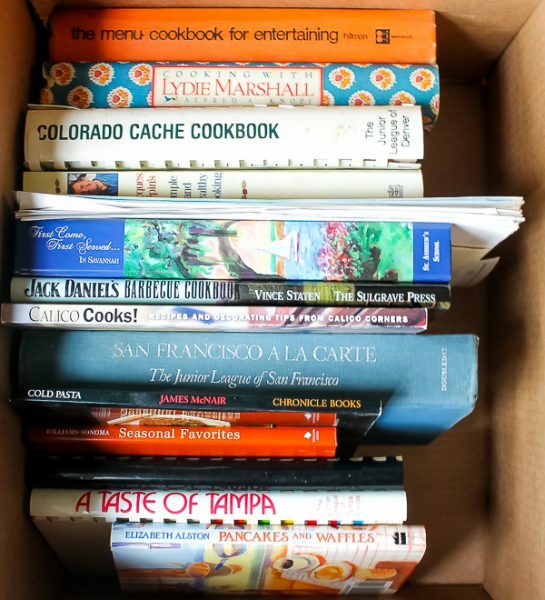 Her first book, The Seasonal Kitchen won numerous awards and awakened America’s palates to simple good food instead of fast food. 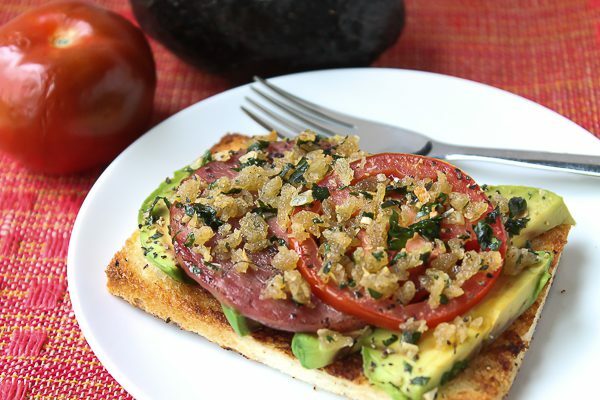 Perla was way ahead of her time with a recipe for avocado toast. 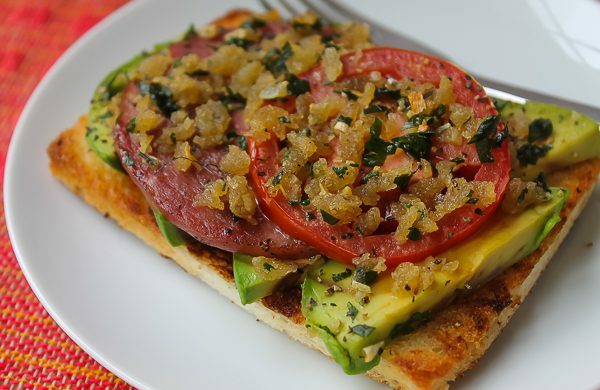 Sliced avocado sits on a sautéed bread slice, then topped with Canadian bacon, tomato slice, and a delicious crispy topping of garlic, parsley, and bread crumbs. It was delicious! Thank you, Eva, for all the wonderful books and giving me back some I had lost in the flood, including the Perla book. I love this recipe, as I do all of Perla’s creations. I was lucky enough to watch her cook at Marshall Field’s many years ago promoting The Seasonal Kitchen, which was when I started loving her cookbooks. I also remember Perla told us her favorite mustard was Maille, and of course it still remains my favorite too. Maille mustards have been around since 1747! Remove crusts from bread. Heat the clarified butter in a large heavy skillet and saute the bread slices until they are nicely browned on both sides. Remove to a baking sheet. To the remaining fat in the pan, add the Canadian bacon. Cook for 1 minute on each side, then remove to a side dish. Add the olive oil to the pan and heat. Add the bread crumbs, parsley, and garlic and cook the mixture for 2 minutes or until the bread crumbs are browned. Set aside. Peel the avocado and cut in half lengthwise. Remove the pit then slice it thin crosswise. Arrange the avocado slices on the bread and season with salt and pepper. Top with a slice each of Canadian bacon and tomato. Spoon a little of the bread crumb mixture over each. Place the baking sheet under a preheated broiler for 2 to 4 minutes, or until crispy and heated through. Serves 4. Yum! Sounds like a perfect breakfast. And I would love to experience a party at Red Carpet Kids. How creative and fun! !